In Sweden, a reporter Roman Bochkala presented his film about the annexation of the Crimea. He shared the information on his Facebook page. The reporter noted that the film was presented to the research staff of CBEES - the University of Stockholm, which studies the Baltic and Eastern European countries. “In Ukraine it was demonstrated two years ago. For the Swedes, this is all new. They are not deep into the topic. And it's not surprising. Ukraine left the front pages of the European press. And yes - there is a feeling of fatigue from our issue. We need to remind about ourselves. And recall not only the bad things. Focus on the positive. Nobody likes wimps and losers,” he wrote. Earlier, in Brussels (Belgium) at the Ukrainian cinema festival "Ukraine on Film. Bridges: East of West", a screening of the film "The Trial: Russian State Against Oleg Sentsov" directed by Askold Kurov took pace. 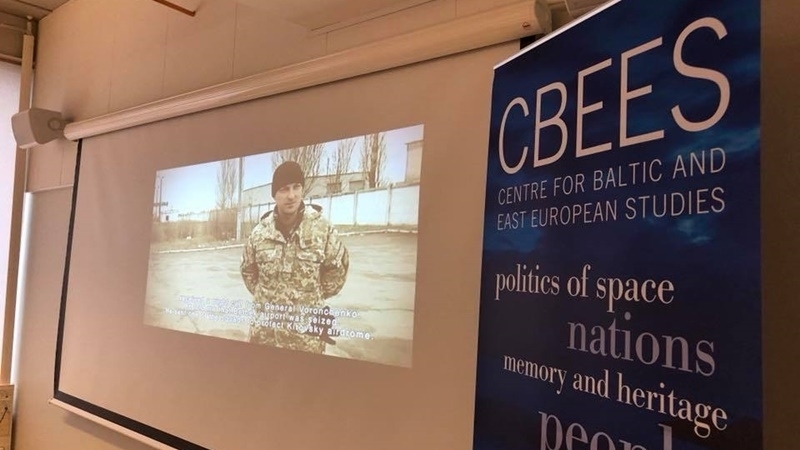 The press service of the Embassy of Ukraine in Belgium noted that "the film became an occasion to once again demonstrate solidarity with the Ukrainian director Oleg Sentsov", who was sentenced to 20 years in a strict-regime colony on trumped-up charges of alleged plotting terrorist attacks in the occupied Crimea.